Tomasz Worek, owner and photographer at XL Visions has been a professional photographer for over 15 years. Last 8 years have been dedicated to create exceptional photography and innovative marketing services for real estate, commercial as well as hotel industry in Chicago, IL. 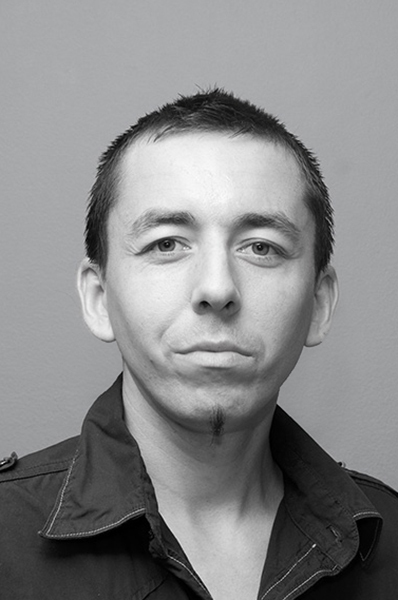 Tomasz is very dedicated and passionate about his work, about the quality of the photographs and service provided. When one would think that with a smaller project, with less budget or with less value in it would be treated and photographed as one, he still pays the same amount of attention to detail and photographs it just like he would photograph a multi-million dollar mansion. He brings exceptional solutions and customer service that will bring you andyour business maximum exposure! XL Visions is based in Chicago, Illinois, and most of the work is around downtown Chicago, north and northwest neighborhoods of Chicago as well as north and northwest suburbs. XL Visions prefers to work with clients and projects located within 25 miles range from 60641 zip code, but with additional travel fees will gladly accept projects outside of that area. If you would like to speak to Tomasz Worek from XL Visions you can call him on the phone numbers listed below, or fill in the contact form and he will get in touch with you as soon as he can. Follow Tomasz Worek on LinkedIn. “Tom, the photographer, was incredibly helpful and flexible. Very pleased with the quality of the photos and was amazed at how quickly they arrived. Perfect customer service! I’d recommend Tom to anyone looking for a professional, hardworking and efficient photographer. Also, XL Visions prices are amazing. I have been a professional photographer for over 15 years. About 8 years ago XL Visions was established and since then I have been dedicated to create and deliver exceptional photography and innovative marketing services. I guarantee great images that will help you sell your property faster, promote your business and make you look great. I am not sure if I have my own style. I always try to show best selling points, architecture and style of each property. I think the natural light, the mood created in each room, each location is very important, and this is what I always try to capture and show in my images. Upon arriving at the property, I introduce myself, then I take the time to talk to the owner and the agent about the property, about the photo shoot to make sure I deliver expected images. Before I start taking any pictures I always like to do a walk-through together with the owner, agent and adjust window blinds, fix the pillows, turn the lights on. In my opinion, in today’s digital world Photoshop and other photo/video editing software are very important tools. I love photography and I love photographing architecture, interior design, peoples’ lifestyles. I love that every day is different. New location, new project, new challenges. What advice would you give to someone in Chicago who was selling their home? Hire and work with an agent that will go the “extra” step. Take your time to prepare the property and create a great marketing plan with your real estate agent. Professional Photography is at the top of the list when selling a property and so it should be on top of your list as well. I like to play guitar, watch or play football (soccer). Relax and spend time with friends and family. I also like to travel and obviously photograph those places that I visit. “I was born in Poland, but for over 20 years I’ve been living in Chicago, IL. I always had a big passion for music and art and especially photography.